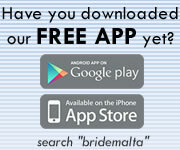 Maltese and Gozitan Weddings are beautiful occasions celebrated in style. Many couples ask for more information about Traditional Weddings so here is an extensive collection of photos of wedding re-enactments in Malta and Gozo. Join our Mailing List to learn when we update this section!